Communication is vital to an organization’s well-being, whether it is word of mouth, formal public relations or just plain old publicity, or any other forms that keep an idea before a designated audience. Communication insures that a strategy or an idea is embraced by ALL members of the enterprise or company. Our Chicago PR firm helps everyone understand what the company is trying to accomplish with effective public relations strategy, content marketing, and social media work. Some of the marketing communication vehicles in wide use today include industry publications, industry websites, newsletters, annual reports, trade shows, product literature, e-mails, and social media vehicles such as online e-zines, blogs, podcasts, Facebook, Twitter, YouTube, Instagram, and Flickr, etc. All of them are powerful marketing forces. Note that many print media have established an online presence and some have ceased print issues altogether in favor of the internet. Content & social media marketing in Chicago can help your business present an attractive and effective public face. In-depth articles both technical and business covering a specific product, technology, application or user story are most often solicited from customers. 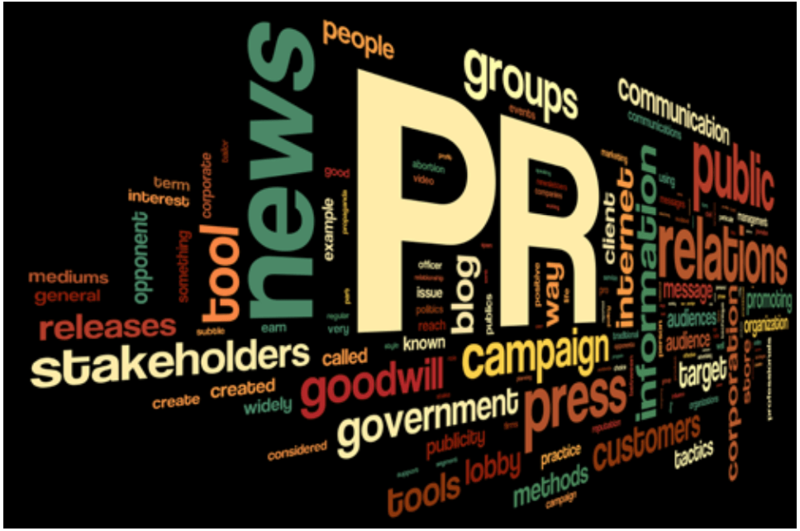 As one of our Chicago PR firm’s public relations marketing strategies, we target specific publications, speak with the editors and ask them how they would like the article positioned. For example, they might have a special issue on economics, or new technology, etc. We then send a draft to the customers for their sign-off, then to the client for approval and sign-off, and lastly to the editor for evaluation. We have on occasion, been successful in developing “cover stories”. After the article has been printed, we reprint it and market it to all target audiences. News releases could cover product applications, new products, strategic alliances, new personnel, and corporate information. These releases should be targeted to both the business and financial press and the manufacturing and industrial press. Implementing a news release strategy to reach buyers directly is like publishing an online news service—you are providing your buyers with the information they need to find your company online and learn more about you as you discover how to grow your target audience. FH Cooper is a Chicago PR firm that understands content marketing’s relationship with public relations, focusing our efforts on creating effective images and information. Newsletters provide a regular communications program with customers and prospects. The print version can be used for mailings, for distribution at trade shows, and by salespersons visiting clients or prospects. It can disseminate educational news, build credibility, announce products and corporate awards, show how your products are used, use first person interviews about your products and your company, announce trade show participation, and promote your brand. The e-newsletter can be posted to your website. We will prepare a news release announcing the launching of the newsletter. We are also proficient in creating and producing Annual Reports, White Papers, Press Kits and Corporate Backgrounders, new product or service launch advertising campaigns, news conferences and press luncheons targeted to specific industries. We are an experienced PR firm that served both Chicago and the US with many effective content and public relations marketing strategies. After the message has been created and approved, we meet with the client to select the means of distribution, e.g., digitally or analog. Digital distribution could include social media networks, business media networks and industry websites. Together we will create the most effective path for success.